Christmas eve is just around the corner! So, it’s about time to get your Christmas wishes sorted out. We wanted to inspire you a bit, so we made this wish list with the 10 most wanted Christmas gifts this year. Browse through list and send it to your parents, grandparents, aunt or neighbours. This is the list to wish for, no matter what! As Andy Williams sang back in the 60’s ‘It’s the most wonderful time of the year’ – and you can only agree with him, when it comes to Christmas. But Christmas is the time of wishes, and if you’re in doubt of what to get, then we’re here to help you with this list of wishes. 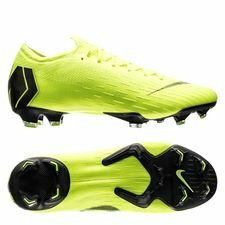 One of the most popular boots out there is without a doubt the Mercurial Vapor 12. The boots are all about explosive speed, and that’s why it’s used by some of the fastest in the game: Neymar Jr., Hazard, Sané and many more. But it’s not enough just to be the most popular boot, you also got to have the most popular colourway, and that’s what Nike has done with their Always Forward Colourway. The first wave of the Nike Always Forward Pack gave us a volt Mercurial Vapor, which guaranteed will make you light up the pitches in these dark months. There isn’t a Christmas wish list at Unisport without the Mercurial Vapor boots! Let’s keep up the pace and also add the adidas X 18+ Initiator Pack to the list. The adidas X silo has always been about the lightweight feeling and has offered you some of the lightest boots on the market. Not weird that Salah, Bale and Marcelo is using these boots day after day. The adidas X 18+ is preferred by some of the best due to the technology which lies behind the boot. But the Initiator Pack X 18+ made the popular boot even more popular with the O.G. Predator colourway. It comes with the same colours as the Predators that Beckham, Zidane and Raúl used back in the good old days. 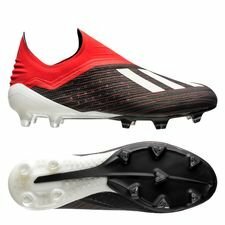 If you’re all about pace and explosiveness, then these are the boots to wish for. I’ve said it once before, and I’m probably going to say it even more before Christmas eve, but the PLAYR GPS Tracker is simply the Christmas present of the year. I can’t get my head around how awesome this product is, and I’m still as hyped as first time I saw it. The PLAYR GPS Tracker allows you to track your performance during training, matches or just days where you’re having fun with your friends in a roundabout. Just insert the SmartPod into the SmartVest and you’re good to go. When your done, then just sync the data onto your smartphone via the PLAYR app and see all your performance data. It doesn’t end here! You can actually also compare your data against your friends to find out who’s the fastest, who ran the most and much much more. By the way, PLAYR has also made it possible for you to compare your data with the pro’s, so you can find out how you perform compared to them. Awesome stuff from PLAYR, and a secure product on my wish list for this Christmas. Make sure it also is on yours! One of the most popular clubs in the world, especially after Ronaldo joined them, is of course Juventus! 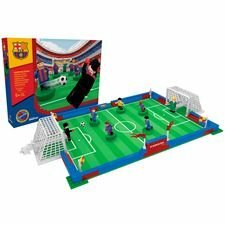 IF you’re a true Juventus fan, then this product is a must-have on your Christmas wish list. Last years Serie A winners are still going strong in both Champions League and Serie A as they once again are battling in the top of the table to win the iconic Coppa Campioni d’Italia and are through to the Round of 16 in the Champions League. Get your Juventus Home Shirt and support the Old Lady! adidas has once again made the Juventus Home Shirt as they bring back the iconic black and white striped Home Shirt. 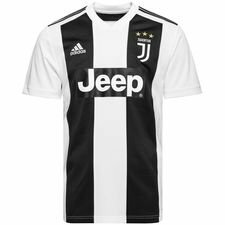 The Juventus Home Shirt combines a clean and modern look, while the new Juventus and adidas logo is visible on the chest. The 3 stars are also featured above the crest, which symbolizes the 34 championships that they’ve won. If you’re all in on the football fashion, then the Jordan x PSG collection is just something for you. The collaboration between the Jordan brand and Paris Saint-Germain gave us some awesome products, which got sold out in a couple of minutes. Nike dropped a second rang which included this fresh Air Jordan 1 Retro sneaker. 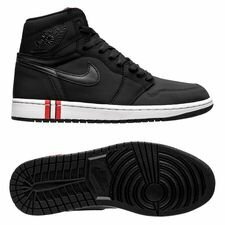 The Air Jordan 1 Retro is one of the O.G. sneakers from the Jordan brand and might also be one of their most popular models. The Air Jordan 1 Retro Jordan x PSG combines the well-known Jordan look with the colours of the PSG Shirts used for their Champions League campaign. The black sneaker combines red and white details, which is displayed on both the Home and Away Shirt, while the insole has ‘ICI C’EST PARIS’ written with the Away Shirt design on it. An awesome sneaker made for a true baller. Let’s stick around the Jordan x PSG collaboration for a little bit more. 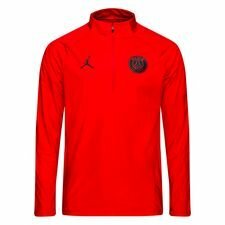 Besides sneakers and match kits, the collaboration also included awesome streetwear and training products such as this nice Paris Saint-Germain Squad Training Shirt. 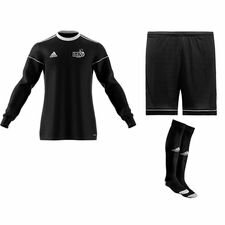 The training shirt gives you a nice comfy fit, while letting you show your loyalty to your club outside the pitch. This training shirt is more than just a training shirt, it’s made in a Shield Version, which means that it keeps you dry. The Shield technology is water resistant, so you can perform at your highest in any kind of weather condition. Train like your favourite PSG players: Mbappé, Neymar Jr. Draxler and reach new limits as the pros. See all our PSG gear right here Continued below. Christmas always comes early, when Nike launches their Limited Editions EA Sports boots. This year they gave their ‘new’ PhantomVSN boot the honour of showcasing the EA Sports colourway, and what a colourway. You can expect Bernardeschi, Fran Kirby and Kevin De Bruyne play in the boots during December. 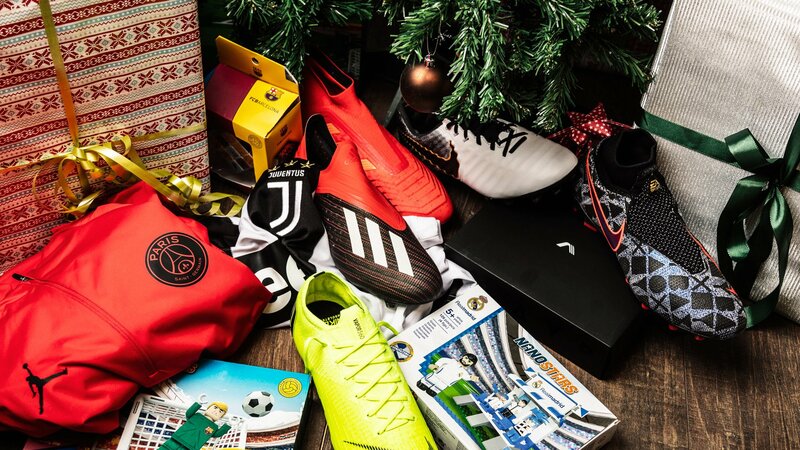 You can’t get the boots before the 12th of December at Unisport, but it’s a must have on any boot collectors wish list this Christmas. The EA Sports colourway combines a shiny and reflective upper with some nice red details, which fits together perfectly in this stunning colourway. Nike has used the PlayStation and XBOX controllers as inspiration as the buttons from the controllers are featured on the upper. Furthermore, this is the first time you’ll be able to get the EA Sports in an Academy price point, which means you can rock a pair on the pitch, while you save the Elite for your collection in your room. A win-win situation for any footballer! This boot is one of the best leather boots on the market, and has been a frequently used boot throughout the years by the pros. The Tiempo Legend 7 is worn by some of the best defenders I the game such as Sergio Ramos, Gerard Pique and many more, which them a supreme touch on the ball to control any match. Nike launched this pack in the best possible time as it got a Christmas vibe. 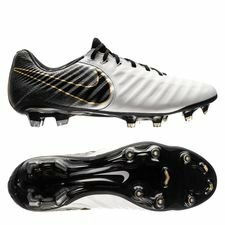 The black, white and gold colourway is one of the best colourways in 2018 for the Tiempo boot, and this boot is going to feature on my wish list for Christmas, without any hesitations! So, if you’re a sucker for Tiempo, then this colourway is a boot to wish for. We can’t have a wish list without a Predator boot and the Predator 19+ Initiator Pack is the one that we’ve gone with. Dab like Pogba, pass like Özil or score goals like Alli, no matter what be the Predator that everyone fears with the new Initiator Pack boots. The Predator 19+ boots are all about control. 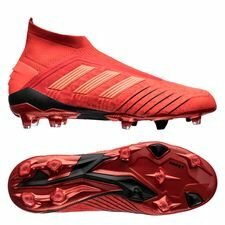 adidas updated the Predator boot, which gave the boot the 19+ name, and it features a slightly different upper, that offers you even better touch with the ball. While the heel offers more protection and stability, when handling the ball in close battles with opponents. The Initiator Pack colourway is right there on the top shelf, when it comes to colourways, and people will already know that you’re on the ball when they see those boots on the pitch. So, this was our Christmas wish list. I hope that we inspired you with some products for your wish list, which you can give to your family or friends. I hope that you get some of these awesome products for your Christmas eve.